PAOLI, Pa. (April 11th, 2019) – Roush Performance has been making cars and trucks faster and more stylish for over the past two decades. With a well-established presence in their Mustang segment, Roush has made great strides to enhance their offerings on the truck side, expanding their line-up to include six F-Series pickup models. 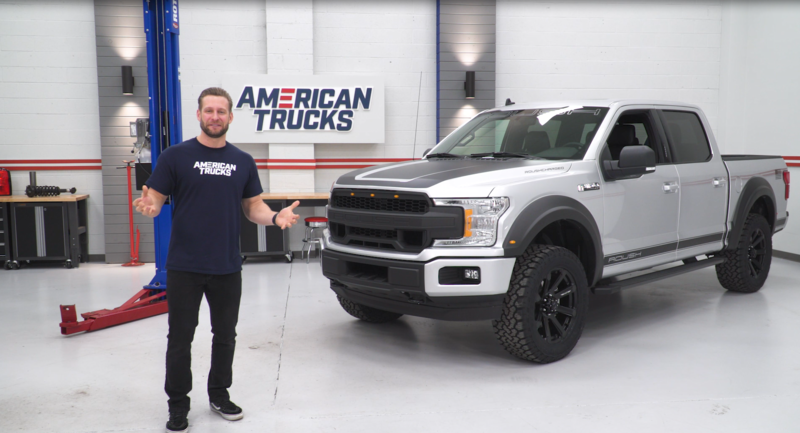 The team at Roush Performance recently shipped out their new 2019 Roush F-150 Off-Road SC to AmericanTrucks’ (AT) video studio for AT host Justin Dugan to sink his teeth into. In this episode of AT’s “The Haul” YouTube series, Justin slices into this juicy T-bone steak of a truck, discussing its exterior styling featuring unique grill, front bumper, lighting, vinyl decals, and fender flares, among other attributes. 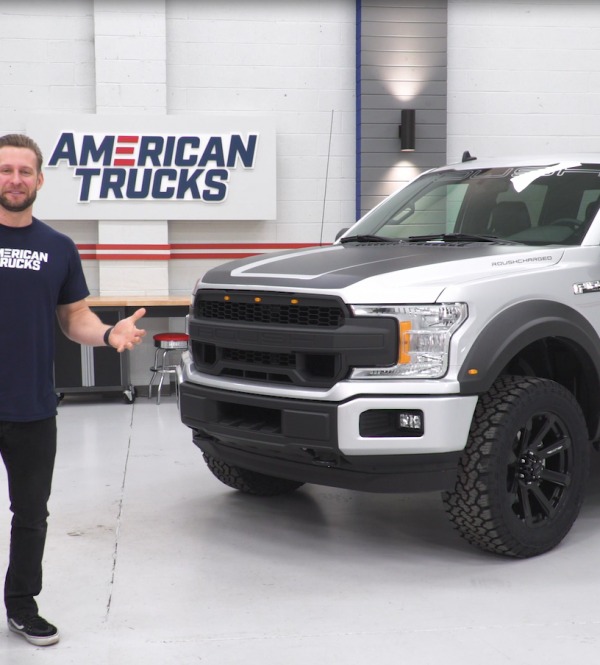 After a walk-around, Justin talks performance and suspension upgrades, specifically Roush’s full-stainless dual-tipped active exhaust, next-generation Roush TVS R2650 supercharger, and Roush by Fox 2.0 Performance Series Suspension System. Finally, Justin hops in the driver’s seat to discuss interior styling, driving characteristics, and tire-roasting capabilities. AmericanTrucks is regarded as one of the best, most reliable online aftermarket retailers providing parts and accessories for F-150, F-250, Silverado, Sierra, and RAM. Catering to the needs and demands of late-model truck owners and enthusiasts, AmericanTrucks provides the best parts with support from genuine truck experts. Located just outside of Philadelphia, AmericanTrucks is dedicated to offering the truck community with the highest quality of parts and customer service. Please visit https://www.americantrucks.com for more information.